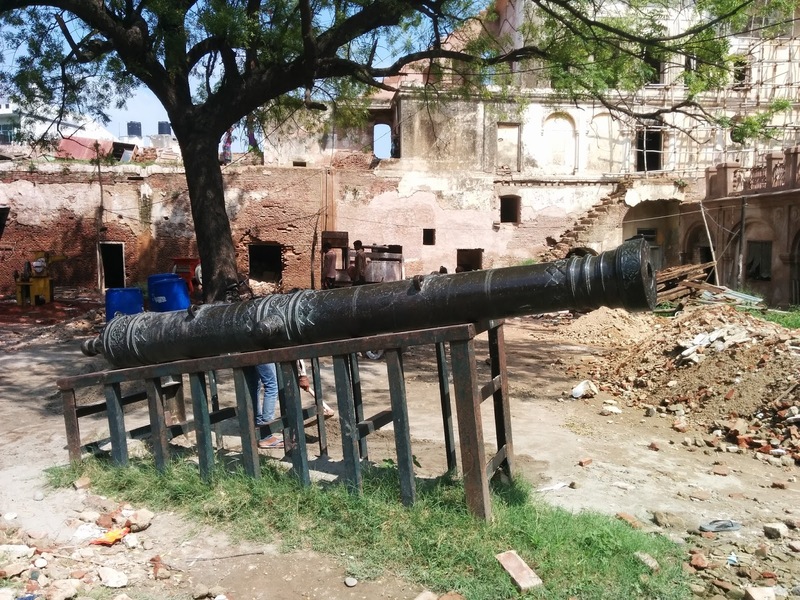 Road Less Travelled: Patiala- Fine Example Of Punjab's Historic Grandeur! Patiala- Fine Example Of Punjab's Historic Grandeur! Patiala-the land of salwars, parandas and pegs. We experienced the scenic beauty of Punjab once we took a deviation from the Delhi- Amritsar highway towards Patiala. 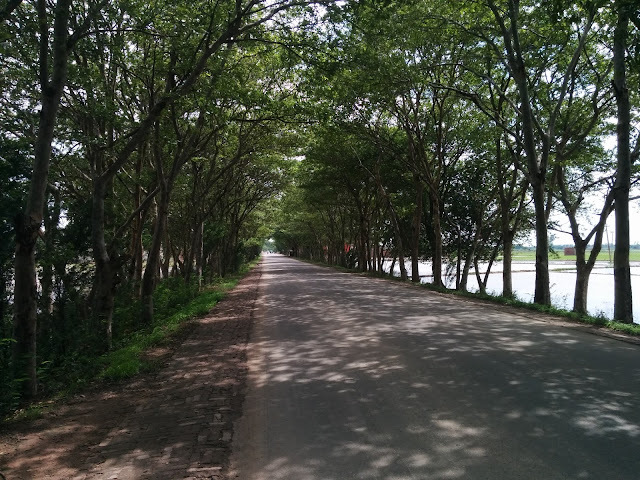 We were welcomed by green archways across the road and beautiful paddy fields on either side. Riding our bike with scenic landscape made us feel so blessed to be citizens of a country that is gifted with all from mountains, hills, snow clad peaks to beaches and wildlife. 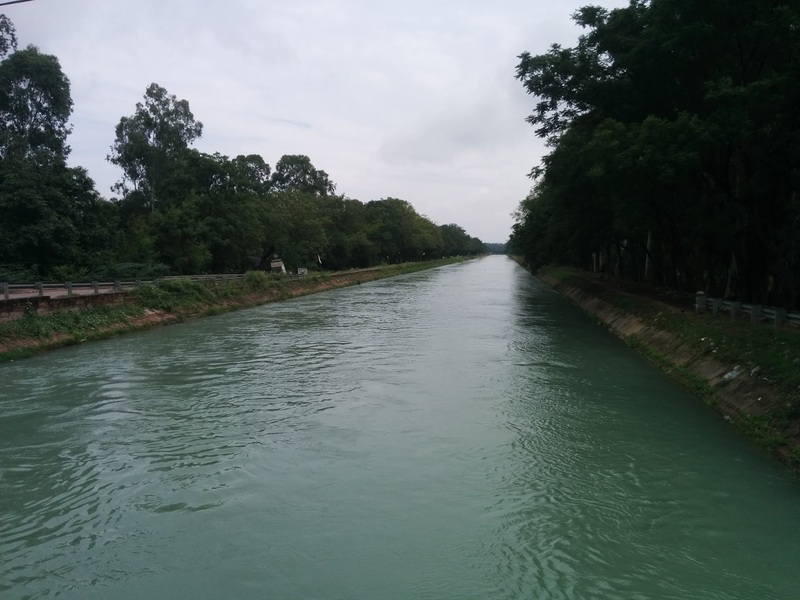 We were further welcomed by a canal that looked more like a river. The city has a royal feel to it with some amazing roads and historic monuments, the most famous being the Qila Mubarak Complex. Built in 1763 by Baba Ala Singh, this Qila or fort with a magnificent gate and multiple courtyards speaks of rich architecture and grandeur. It also had its own underground sewage system. Sadly, this age old building is now in absolute shambles and ruins. It was a sorry sight to see such a monumental and historic building being neglected to an extent that in the year 2004, it was listed as 100 of World's "most endangered monuments." While we were there, massive restoration work was taking place. 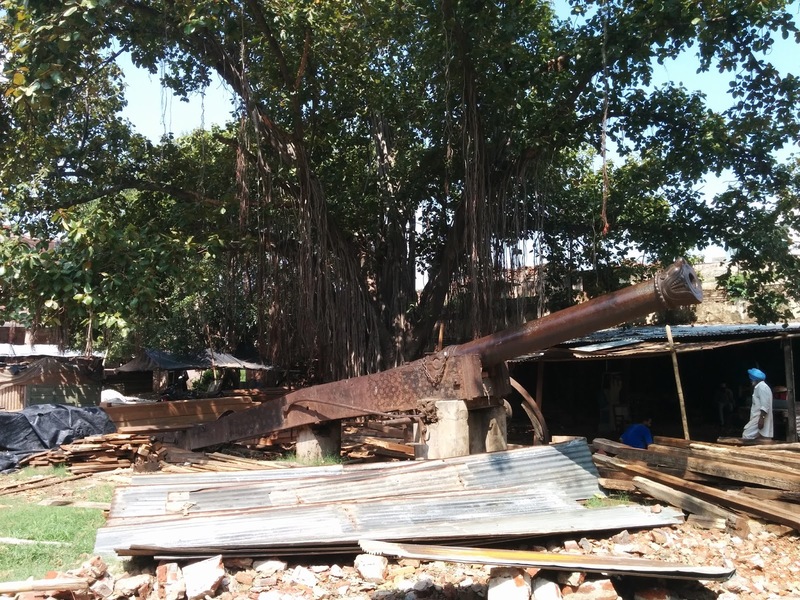 As we walked around this monument, among everyday tools we noticed two massive cannons very casually laid around. The insides of the monument are in terrible condition with broken windows and crumbling walls. We were not able to help but wonder how glorious and awesome this complex would have been in it's hey days. Sincerely wish and hope that post restoration this monument might be able to do justice in providing a glimpse of its glorious past. 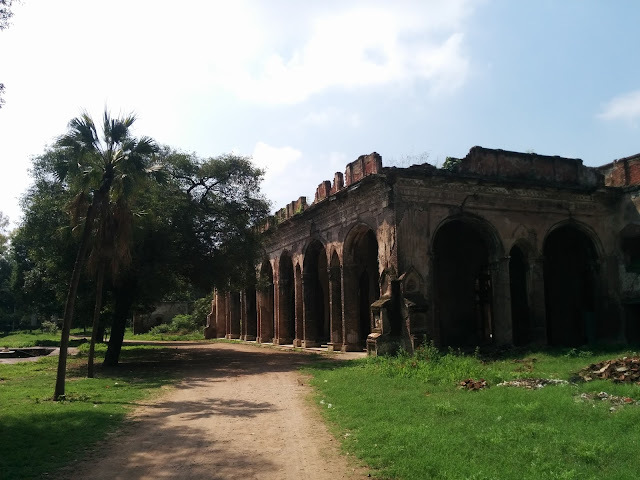 The Punjab tourism organizes Patiala heritage walk every Friday, Saturday and Sunday from Shahi Samadhan, just 600 mt away from Qila Mubarak, from 8 am. This great fort seems to spread across acres, however, encroachments have led to cramped settlements to an extent where even the massive fort walls have not been sparred. Tons of shops have started their businesses and have ruined the beauty of the fort wall. If you plan to visit Qila Mubarak, early morning would be a better time as it could get chaotic during the day due to the massive market. Every city in Punjab has amazing Gurudwaras and Dukh Nivaran is no different. According to the local tradition supported by a hand written document, a local visited the ninth guru of Sikhs - Guru Tegh Bahadur and requested him to bless his village as it was plagued by a mysterious disease. The Guru visited the village (now a part of Patiala) and in a short time the village got rid of the disease. The place where the Guru sat and preached is known as Dukh Nivaran, literally meaning - eradication of suffering. The calm and serene Gurudwara guarantees solitude and inner peace. It stands testimony to actual service, their exclusive parking space is provided free of cost to devotees. 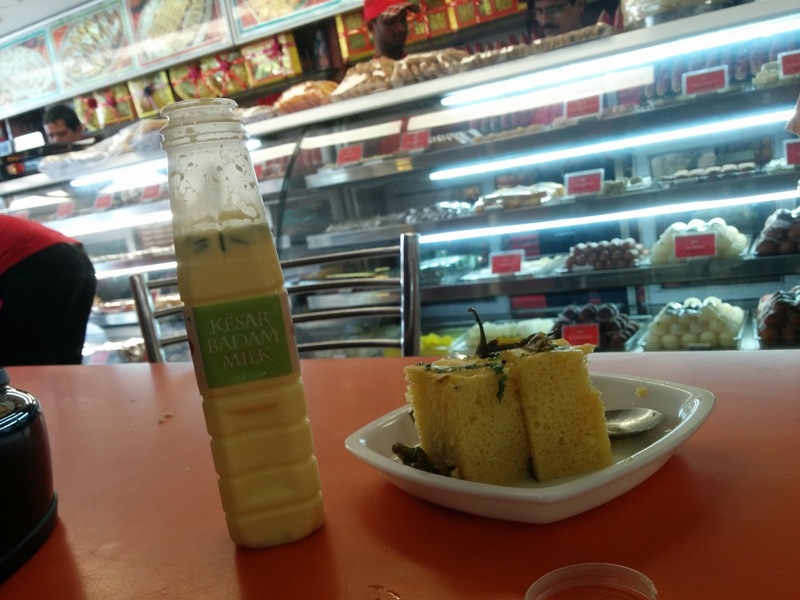 They serve amazing food, portable water and prasad free of cost without any discrimination. It is an undeniable and irrefutable fact that the Sikh community contributes immensely towards the rich culture and heritage of India. The local community comes together as one and is dedicated in offering service to patrons who visit the Gurudwara without expecting anything in return. Photography is prohibited inside the Gurudwara so please respect the sanctity of the place. Another magnificent monument is Sheesh Mahal. Built by the then Maharaja of Patiala in 1847, it portrays his love for arts and literature. The palace is decorated with murals, mirror work, art depicting poems and the artisans were from Rajasthan and Kangara. This palace was a prime example of grandeur with terraces, gardens, artificial lake and a grand suspension bridge- Lachman Jhoola. The palace also houses a museum that has artifacts, paintings, manuscripts and a massive medal collection. The green vegetation and the calm environment attracts a lot of birds. Early morning would be the perfect time to visit this place. It is open from 7am. In our opinion, Patiala is maybe not yet ready for tourism despite having rich legacy and historic monuments. 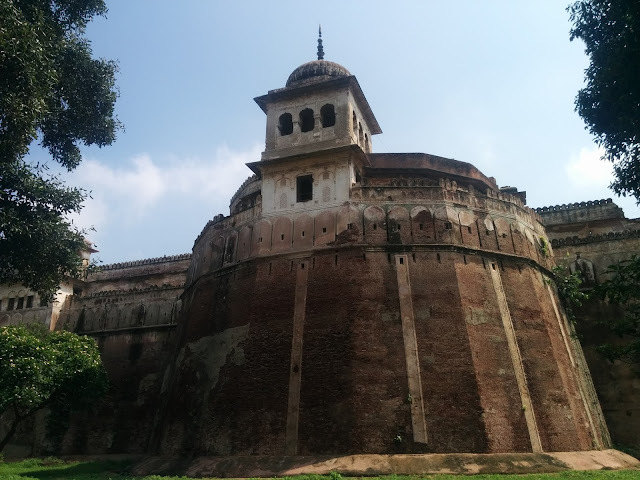 Like the Qila Mubarak, Sheesh Mahal was also under renovation and we were not able to take a detailed tour but we really enjoyed catching a glimpse of whatever was left. An important note to keep in mind is that almost all attractions in Patiala are closed on Mondays. The freedom that a road trip offers is parallel to nothing. As we were traversing across the streets of Patiala, our hawk eyes spotted a humble and very interesting ice cream parlor- "Harbans Ice cream." This 25 year old shop opposite the Dukh Nivaran Gurudwara prepare their own ice cream and have an extensive menu plus are very economically priced. We went for Paan ice cream and being born and raised in metro, we expected the ice cream to come "Paan flavored" but we were taken aback to see actual ingredients of paan in the ice cream. We ordered grilled sandwich that came with good amount of veggies and amazing flavors. A bottle of fresh badam milk loaded with nuts seemed to be a hot sell here and it tasted wonderful. We were served generous quantity and were charged a mere Rs.105 for all three. This place would any day give Swensen's, Baskin Robbins and the likes, a run for their money. While at Patiala, it is a must to visit "Ambala Chaat House" in YPS road near Women's college. In our opinion, they serve the best and most impressive, elaborate pani puri in the whole of India! Satrangi golgappe as it is called, comes with 5 different flavors of water (paani) - Jeera, Pudina, Heeng, Theekha and Khatta meetha. Plus two puchkas topped with thick curd and the other with chutney (sweet and spicy.) This amazing culinary treat is priced at Rs.40 and is totally worth it. Believe us when we say you cannot have more than one plate as it is too heavy with generous amount of aloo and channa stuffing and the flavored water is ice cold! The place is very hygienic and run by very kind and courteous people. 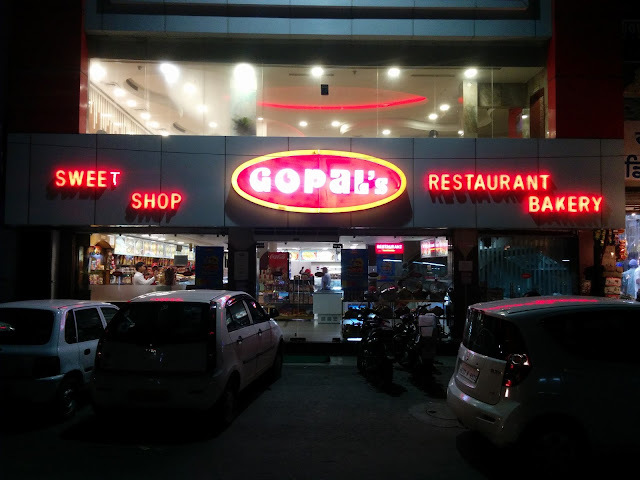 If you have a sweet tooth, Gopal Sweet Shop in lower mall road would be your Mecca. Their exclusive specialty is the two varieties of "tart"- cashew and badam. Though not very sweet it has a good taste to it, just a dash of sugar syrup on the crunchy dry fruits with a base of tart. Their service is amazing, despite being a busy shop they were very courteous and helpful. The kesar badam milk and dhoklas are a must try here. They have a very wide range of delicacies to choose from and just one mere visit will not cut it. 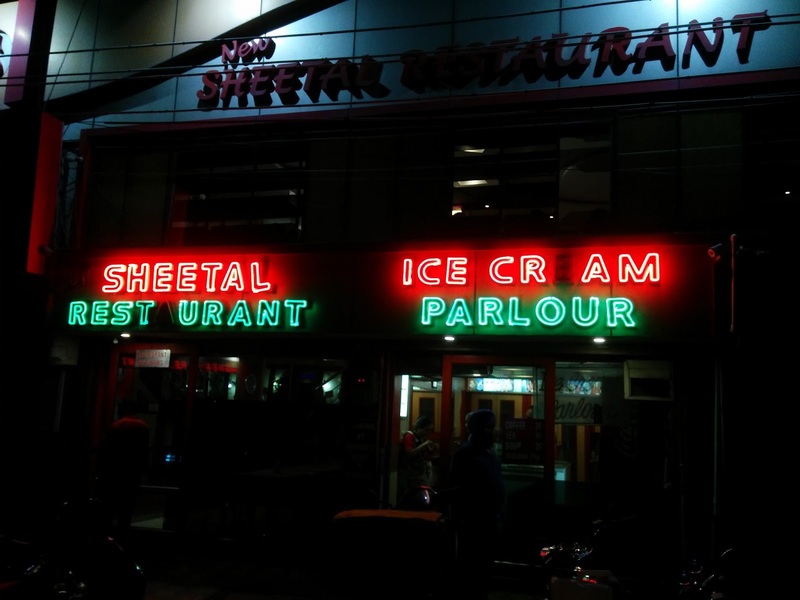 If you are in mood for exclusive vegetarian Punjabi food look no further than New Sheetal Restaurant in lower mall road. Even on a Monday evening, people had to wait in queue to grab a table and their lip smacking food totally justifies the waiting period. We ordered dal makhani, paneer gravy, missi roti, sheetal special roti and butter roti. Their pricing would blow you off and make you wonder if it is actually 2016. All of this put together costed us Rs.132 and mind you the portions were generous. After a heavy dinner we headed to Sheetal ice cream parlour, a perfect place to taste different flavors. We tried mixed fruit and kaju pista ice cream. Served in one of the most crispiest cones that we have ever had and again generous quantity of ice cream costed us only Rs.35. With scenes like this, we were contemplating if we should actually relocate to Patiala. For this trip, we considered trying out accommodation apps and it was our very first experience using OYO rooms and we had a very pleasant stay. We got very generous deals and stayed at hotel Polo Club in lower Mall road. Set in a residential locality, the hotel boasts of charming, spacious rooms with all modern amenities and clean bathrooms. The staff were very courteous, helpful and prompt with their service. Their restaurant serves amazing food, we started with the traditional Patiala Biryani that was very well complimented with boondi raita. The only drawback of the hotel is that they do not have exclusive parking and the entrance to the hotel is a little odd and uncomfortable. I write here as daughter of patiala resident before partition who longs to see his forefathers home there . He was a school student when they left their home there . His home directions as he recalls is when u have ur back to Sheran wala gate and walk on road that curves but goes straight to a gurdwara , ( nearby was tawakali masjid ) ( it was called mohalla bhattian) his house / haveli was right opposite there by the name Shaikh Abdul Aziz . He longs to see it but can’t locate it on google !! Can any one help . We are in Karachi Pakistan. Thanks for taking time to write to us. Sadly, we are in South of India though we do not reside in Patiala we will try and do our best for you to somehow figure out the house/haveli of Aziz saab. Love from India.